First, an apple scent rises and then there is an ever more intense orange flavor in the nose. Also white grapes (sultanas) and vanilla can be seen. Very elegant, soft finish, which also has something spicy at the same time. An independent surgery, if you like banana and pear and do not be afraid of some oak and pepper, is well served here. A nice and deep vanilla sweetness. Light seabreeze and banana. More power in here comparing to the 12 and 17 year old. More pepper and wood tones. Less sweetness but still sweet enough. Less balance than the others I mentioned before. Not a bad drink but I prefer the 12 and 17 year old. This one is a little to harsh in the mouth for me. Medium oak finish with a little salt. So for a NAS and in the price range quite delicious. Lemon, a little orange, grape, honey, a light alcoholic touch, banana and salt. Quite interesting and tasty. He makes you want more. Salt with honey, slightly light. Medium long with some dryness in combination with salt and a sweetness. Add to that the banana and the grape. And there is a slight spice spreading, which is probably due to the 46%. 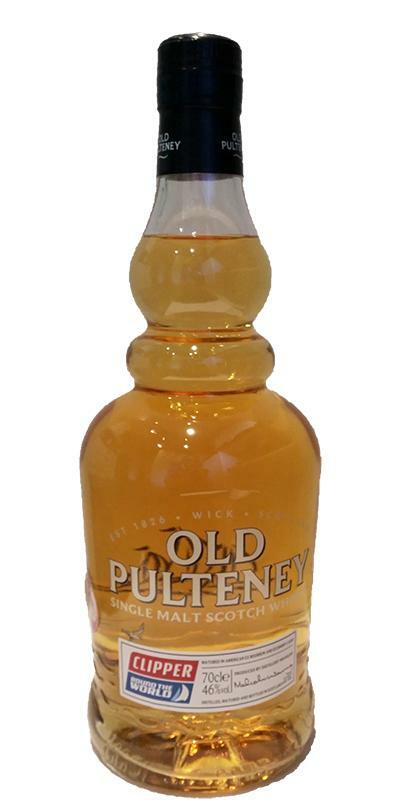 There is much more better stuff from Old Pulteney.